The Detroit Red Wings didn't let Mike Green hit the open market, signing the veteran defenseman to a 2-year, $10.75 million deal on Saturday, only hours before the open market was set to be flooded by unrestricted free agents. One would have to think that the talking period for UFAs certainly helped aid Green in making his decision to return to Detroit, but it is rather questionable, as to what he sees in the Red Wings moving forward, because they weren't necessarily a great team in 2018 and it's still up in the air for any more success in 2019. The 32-year old was going to be a highly-sought after defenseman in this off-season, if he were to have made it to Noon ET on Sunday, scoring 8 goals and 33 points in 66 games for Detroit last season, which was good enough for 42nd among all defensemen in the hockey pool. Sure, if he didn't miss those 16 games, he probably would have been situated better, which is probably why he got a very good cap hit for the next two seasons. It sounds like the Red Wings will be busy tomorrow, so we'll save all the major team updates for when the first flurry of action concludes on Sunday. The last day for the first buyout period of the summer is technically today, where teams can put players on waivers to buy them out on July 1st, making them a free agent and two teams took advantage of that on Saturday. The Minnesota Wild placed forward Tyler Ennis on waivers for the purpose of a buyout, out to remove the last year of his deal from the books. The 28-year old was due $4.6 million in the 2019 season, but the buyout will save the Wild over $2.4 million this season. Ennis only had 8 goals and 22 points in 72 games for the Wild last year, far from where his expectations would have been at the start of the season. He'll try and find himself a new home, starting tomorrow. As expected by many this morning, the Montreal Canadiens have indeed bought out newly-acquired goaltender Steve Mason, relieving themselves of the full hit of his final year of his current contract, worth $4.1 million. The Canadiens acquired forward Joel Armia for the added cost of the buyout of Mason, which isn't a terrible add to do so, especially since the Canadiens are rocking a lot of cap space, heading into this silly season. Mason's buyout will cost the Canadiens under $1.4 million for both seasons, not a terrible load on their overall spending. Mason was ranked 59th among all goalies in hockey pool points, registering 13 points in 13 appearances for the Jets, eventually losing out the number one job to Connor Hellebuyck. The first draft pick of the 2018 entry draft to get a contract, although unofficial until tomorrow, is the 2nd overall pick, Andrei Svechnikov, who will sign his 3-year entry-level deal on Sunday, which will likely be loaded with all kinds of incentives and bonuses to play for next season. As we drew closer and closer to the draft, the cat was out of the bag with days to spare, that Svechnikov was coveted by the Hurricanes and he would be the one that they would go with, hands down. And why not? The kid is big, he's got all kinds of talent and he could be ready to go right away. With the Barrie Colts of the OHL last season, he scored 40 goals and 72 points in only 44 games, also competing for Russia in three tournaments, including the World Juniors, where he had 5 assists in five games. The rumours were abound on Friday, that the Los Angeles Kings and defenseman Drew Doughty were talking about a new contract extension and then early in the evening on Friday, the Kings' Twitter account confirmed that the deal was about to be signed, which would keep the superstar defender with the team through the 2027 season. Of course, the final signature on the deal, cannot be put on paper until July 1st, but that's a small detail, seeing as though that's tomorrow. The confirmed reports have it at 8 years, $88 million for the duration of the deal, an $11 million cap hit per season and he will be signed on until he is 37 years old, seeing as though he is only 28 right now. It's a massive, franchise-defining deal and one that will keep the core pair of Doughty and Anze Kopitar together for quite some time. Last season, Doughty was 7th best among all defensemen in scoring, finishing the season with 10 goals and 60 points in 82 games, but more importantly, he's a minute-eating machine, who plays in all situations for the Kings and is a vital part of the team's success and will now feature for another nine seasons, once this extension kicks in. July 1st will also bring a brand new contract for San Jose Sharks captain Logan Couture, who is set to sign a new 8-year, $64 million deal, which will kick in during the 2020 season. The rumblings have certainly been about for Couture in the start of this off-season, the Sharks were keen on getting his signature on paper for the long-term and on the eve of free agency opening up, it is believed that it will be finalized, as soon as the clock strikes Noon on Sunday. Couture has been rock solid for the Sharks in his career and his 2018 season was decent as well. In 78 games played, Couture scored 34 goals and 61 points, ranking him 80th overall in pool scoring, 60th among all forwards. He would be a 4th round pick in a draft redo this past season, but he should generally have some more upside to his game and he's a good guy to gamble on, if you are like-minded in that way. If this was any other season, this may have been a headlining kind of move, but the Winnipeg Jets have been able to shift some salary out of their keep, in order to be a big player in the free agent market or open up some space to re-sign Paul Stastny. As the deal goes, the Jets moved goaltender Steve Mason, forward Joel Armia and two draft picks for defenseman Simon Bourque. The Canadiens eat a great deal of space, but there is word that they are going to try and flip some of these assets for something more in the next day or two. Mason is set to make $4.1 million in 2019, only appearing in 13 games and picking up 13 points for the pool in those games. Armia is a restricted free agent this summer, after 29 points in 79 games, much more of a fringe forward. In return, the Jets get a 21-year old defensive prospect in Bourque, who will likely start the year in the AHL. The Jets are in need of signing a goalie, like RFA Connor Hellebuyck, not to mention Stastny up front, and I currently project them to have $21.9 million in cap space, which should be good enough to do just that. The Canadiens, on the other hand, will either trade or buyout Mason, by the sound of things, using their cap space to sign Armia to a new deal. Very interesting move, indeed. Well, the 2018 season was a wee bit strange in the hockey pool, when it comes to my beloved Injury Prone List, as I stuck to it pretty well, as I normally do, but this year saw a team with five entries to this list win the whole thing. All the stars aligned for Stuart, not only in the health category, but also his fortune in the players that he actually picked. Somehow, he managed to get Evgeni Malkin, Taylor Hall, Sidney Crosby, Bryan Little and Jason Spezza in the year and he went home with the year's big prize. Unbelievable. With five players on the Injury Prone List, Stuart was still able to rank 3rd in skater games played in the pool, finishing with 946, while I stuck to my list and finished 2nd, with 951 games played. My team finished 5th in the standings, 95 points short of Stuart's. There's no exact science to the hockey pool, there is as much hope and luck in it, as there is a skill to picking the right players. You can do all the reading, all the scouting before the draft, but there are so many variables, which play out through the season, that you really can't count on. Injuries are one of those, even if you make a list of players to avoid. They may have been less likely to get hurt, but it's not impossible. I'm sure that a few people were shying away from the Penguins and from Hall, starting year two with the Devils, there's no question that they are highly-skilled players, but they do come with some risk. It was just Stuart's year to take a chance on them and hope for the best. I started this list back in 2008 and since then, I have added 84 players to it, 51 of which, were still active in the 2018 season. Out of those 51 players, 33 of them were still deemed to be pool worthy, meaning either the top 200 forwards, top 100 defensemen or top 50 goalies. Of those 33 pool worthy players, five of them were in the top 100 overall in scoring, including the top three on Stuart's list and Aleksander Barkov of the Panthers and Sergei Bobrovsky of the Blue Jackets. They were certainly worth the risk in 2018. This list is just a tool, which does seem to help me keep a relatively healthy hockey pool team, year after year, but it's also not so much of a risk-taking team, which was the one that won the money this year. Sometimes, those risks can pay off and it will get you your name on the trophy at the end of the year. So, with that being said, time to pick out the new names for the 2018 list... I would like to get 10 more names on it, but we'll see how it pans out. It's funny, it feels like every season, I add a name to the list, who probably should have been on here ages ago and that's no different this year, adding Bobby Ryan of the Senators. This guy has had more finger/hand injuries than most people can count on their fingers and the 2018 season was a good example of that, coming out of the lineup four times in the season for one of these injuries and limiting his season to only 62 games. He was still pool worthy in the year, finishing with 33 points, but his injury prone nature isn't exactly making him a fan favourite and his $7.5 million cap hit for the next four seasons is one the team is trying to rid themselves of, if you believe the stories out there. I think I've considered Nick Foligno of the Blue Jackets in seasons previous, but could never really pull the trigger on adding his name to the list. Two more lower-body injuries, costing him 10 more games in the 2018 season, has me counting up his totals over the last few seasons and I can see a bit of a pattern. This guy does get hurt and maybe he doesn't miss a ton of games, but his scoring numbers are so up and down, that it has to take a toll on his consistency through the season and to me, that's what makes him worth avoiding at the hockey pool draft. He's another guy who carries a heavy cap hit, $5.5 million over the next three seasons, which looks like a tough pill to swallow. The last three seasons for Chicago's Artem Anisimov haven't been great and that's going to land him on this list as well. An upper-body injury cost him 10 games in the 2018 season, four separate lower-body injuries cost him 17 games in the 2017 season and he missed five games in the 2016 season. He's a gritty player, that will grind and muck it out and he does have some good offensive upside, especially on a talented team like the Blackhawks, but I'm just not confident that if he was on my side, that I could count on him for games played and points. New York Rangers forward Jesper Fast joins the list after a rough season for the lower-body in 2018. A hip injury cost him five games, a quadriceps injury cost him another three games and then he missed the last three games of the year with a groin injury. The year before that, he missed 14 games to three different injuries and that's all adding up to a guy that just can't stay healthy. Fast is a guy that has some really good offensive upside to his game, 33 points in 71 games isn't too bad, but the Rangers could have used a little bit more consistency in his game, possibly something that the injury bug zapped out of him. For where Patric Hornqvist plays the better part of his ice-time, I'm a tad surprised that he isn't hurt more often, but he does seem to get hurt fairly often. This season, he missed 12 games with three separate injuries and even missed some more time in the playoffs too. Hornqvist is a battler, who finds himself in front of the net and is often rewarded with points for his hard work and dedication to his craft, but he does seem to be one of those guys that could possibly bite you in the rear end, if you take him too high in the draft. He's a good player, who plays on a top line in the NHL, but there's a risk to his game, which could make or break your hockey pool season. Here's another guy that possibly should have been on the list a while ago, but never surfaced to the top of the pile. Alexander Edler of the Canucks continues to miss a handful (or more) games in a season, failing to play more than 74 games in his last five years. A sprained knee at the start of the 2018 campaign cost him 12 games and he wasn't quite the same player as we'd normally come to expect. A fractured finger in 2017 and a broken leg in 2016, yeah... he's a guy that probably should have been on this list a while ago. Back-to-back seasons with ankle injuries, costing significant amounts of time. As a guy that has had plenty of ankle problems himself, those are things that are tough to get away from and it has already really hampered the talent of Buffalo's Jack Eichel and it's a real red flag for me, when it comes to the hockey pool. Sure, I think this kid has all the talent in the world and if he can stay healthy nowadays, he could contend for a scoring title. It's just a huge but that lingers over top of him, especially after long stints on the Injured Reserve with ankle injuries. He's probably the best example of high risk-high reward. After looking at the list of injuries that Colorado Avalanche defenseman Erik Johnson has suffered in recent years, this is another guy that probably should have made the list a while ago. 13 games to an upper-body injury in 2018, 36 games to a leg injury in 2017, 9 games to a lower-body injury in 2016 and 34 games to a leg injury in 2015... it's really hard to take a guy that not only gets hurt, but can find some long stints on the IR as well. Johnson remains a productive player, 25 points last season, but you would think that he could get a touch more, if he'd just stay healthy for an entire season. Another really talented player, hampered mightily by injury is Tampa Bay's Ondrej Palat, who can't seem to catch many breaks in his NHL career. Over the last four seasons, he's topped out at 75 games in a couple of years, combining a number of minor knocks and missing out on 26 games to a lower-body injury in the 2018 season, really highlighting his inclusion on this list. A few games here, a handful there, 12 games to a lower-body injury in the 2016 season, he's a bit of a liability for your hockey pool team, no matter what his scoring rate is. Goalies are sometimes hard to add to this list, except when they're Semyon Varlamov of the Colorado Avalanche. Goalie totals of games played can somewhat hide these guys among the greater list, but it is important that some of them get weeded out, just so you know what the risks are about taking the injury prone ones. Groin and knee injuries in 2018 cost him some significant time, hip surgery in 2017 cost him half the regular season and other groin problems in 2016 were an issue as well. Varlamov can be a very productive player, when he's in the Colorado crease, but he has been known to disappear to the IR from time-to-time. 11 players on my Injury Prone List were able to play in all 82 games last season, while another four players played in 81 games and three more played in 80 games. 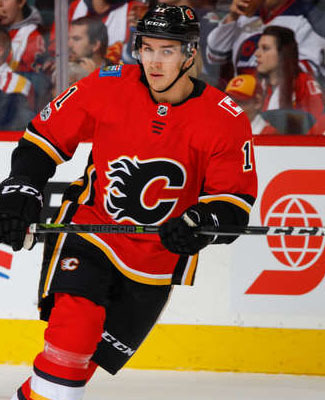 Like I said before, this system isn't at all perfect, but you do have to assess the risk of guys like Mikael Backlund of the Flames, who earned his status a few years ago, but has really shown some durability over the last three seasons, only missing one game in that time. Usually, I'd run down the whole list of players still active and playing, but that usually takes an unbelievable amount of time. I do think that this list should play a part in free agency, when you're hoping that your favourite NHL club is doing their shopping. Mike Green, Kari Lehtonen, Thomas Vanek, Paul Stastny, Tyler Bozak, Michael Grabner, Rick Nash, Kevin Bieksa, Mike Cammalleri, Scottie Upshall, Matt Hendricks and David Booth, among the unrestricted free agents this summer, looking for a new place to play. How many will sign? How many will continue playing overall? The Washington Capitals continued to spend the lot, re-signing defenseman Michal Kempny to a 4-year, $10 million deal on Friday, keeping him from becoming an unrestricted free agent on Sunday. The 27-year old Czech was acquired from the Blackhawks around the trade deadline and put up some fringe numbers in the regular season between the two clubs, 3 goals and 10 points in 53 games. It was his role in the playoffs, which earned him more notoriety, as his ice-time increased and he posted 5 points in all 24 games to the championship. The $2.5 million cap hit per season will bring some loftier expectations, I'm sure. He'd need the ice-time to put up hockey pool numbers, which is a possibility, if he can remain a 3-4 guy on this team. The Washington Capitals re-signed forward Devante Smith-Pelly after a decent regular season and an outstanding playoff run. In the regular season, Smith-Pelly finished with 7 goals and 16 points in 75 games, but really came alive in the spring, scoring 7 goals an 8 points in 24 games. He signed a 1-year, $1 million deal on Wednesday and will return to help push the team to a repeat performance. The Pittsburgh Penguins also re-upped forward Riley Sheahan on Wednesday as well, scoring 11 goals and 32 points in 81 games with the Pens. Sheahan was ranked 202nd among all forwards in scoring, just outside of the pool worthy conversation, so he did well to sign a new 1-year deal, worth $2.1 million, which is only a $25,000 raise from the season before. The Arizona Coyotes avoided losing defenseman Kevin Connauton to unrestricted free agency on Wednesday, signing the blueliner to a new 2-year deal, worth $2.75 million, a $1.375 million cap hit per year. The 28-year old has had his ups and downs in the NHL, producing one year and disappearing the next and in the 2018 season, it was a good season, scoring 11 goals and 21 points, ranking 89th among all defensemen in scoring, just inside of the top 100. The Coyotes have already been very busy in this off-season, adding more pieces to be more competitive and making sure that they shore up their blueline with the signing of Connauton is certainly a step in the right direction. There isn't a whole lot left on the to-do list for the Coyotes internally, as the rest of their potential free agents are depth and role players, which they have plenty of signed on already. Still catching up with deals made over the last couple of days and one big one saw the Buffalo Sabres make some additions for cheap, as the Pittsburgh Penguins were looking to offload a little bit of salary to keep their operation rather flexible. The Sabres acquired forward Conor Sheary and defenseman Matt Hunwick for a conditional pick, which starts as a 4th rounder next season, but could move up to a 3rd rounder, if Sheary hits 20 goals or 40 points or if they deal Hunwick before the draft next year. Sheary was a fringe hockey pool player, not quite producing at the rate expected of him and his salary cap hit last season, which certainly made him expendable in this off-season. The Sabres will certainly get a serviceable winger in this case, adding to their depth and their overall ability to compete in the east. On Tuesday, the Winnipeg Jets put pen to paper with defenseman Joe Morrow, signing him to a 1-year, $1 million deal to bring him back for the 2019 season. Morrow was another one of those players not qualified for his restricted free agent status, but he didn't need to be, as negotiations got the deal done before July 1st anyways. Morrow finished 117th among all defensemen in scoring, with 6 goals and 18 points in 56 games last year. A few more games in his favour would have likely bumped him right up into the pool worthy conversation, which rounded out at around 20 points. The Vancouver Canucks created some unnecessary panic, when they didn't give defenseman Derrick Pouliot his qualifying offer to keep him as a restricted free agent on Monday, because they turned around and re-signed him to a 1-year, $1.1 million deal on Tuesday. Of course, the fear-mongering media outlets had some fun with that, I'm sure. Pouliot was acquired from the Penguins in the early part of the season and seemed to fit in pretty well with the club, despite some ups and downs. Still, he finished as a pool worthy defenseman, playing in 71 games, scoring 3 goals and 22 points, good enough for 88th among all defensemen. The Canucks are already close to a well-rounded blueline already, not to mention a pretty young projected roster, as it stands. They are currently bursting with some salary cap space, but there may not be much need to use it all, as of right now. There may still be some tinkering here and there, but it looks like everything is moving in the right direction. On Tuesday, the Pittsburgh Penguins also took care of some restricted free agent business, re-signing forward Bryan Rust to a new 4-year deal, worth $14 million in total, a $3.5 million cap hit per season. Despite playing only 69 games in the 2018 regular season, Rust was a very productive contributor to the Penguins' offense, scoring 13 goals and 38 points in that time, good enough for 156th in forwards scoring, 219th overall. In the playoffs, Rust wasn't quite as productive, finishing with only 3 goals in 12 games, one of the reasons that they couldn't quite make it out of the 2nd round, but he was a key contributor to their back-to-back runs, so you can't be too hard him. As Wednesday has been moving on, there are more updates coming for Pittsburgh, but needless to say, if they wanted to keep busy, they needed to get a bit more work done to get this roster all rounded out. The shake-up in Ottawa continued this week, as Tuesday, the Senators placed forward Alex Burrows on waivers for the purpose of buying him out and on Wednesday morning, he had cleared, paving the way to get the job done. The buyout will mean that he'll count as $833,333 against the cap over the next two season, instead of the $2.5 million he would have counted on their roster this season. The 37-year old only had 14 points in 71 games for the Senators in the 2018 season, which had him well out of the hockey pool conversation. One would begin to wonder if that's it for him and his NHL career now. Another missed over the last couple of days, the Detroit Red Wings bought out defenseman Xavier Ouellet on the weekend, terminating the last year of his deal, which was going to carry a cap hit of $1.25 million. The buyout will only cost the Wings about $217,000 over the next couple of seasons, making for some very good savings there. In 2018, the 24-year old appeared in only 45 games and registered only 7 assists. The Tampa Bay Lightning got their biggest restricted free agent signed and locked in, before the free agency process really hit the ground, signing forward J.T. Miller to a 5-year, $26.25 million deal on Tuesday. Miller was acquired from the New York Rangers with Ryan McDonagh at the trade deadline and really broke out of his shell upon his arrival with his new team. In 19 games with the Lightning in the regular season, he finished with 18 points and then he was able to post 8 points in 17 games in the playoffs as well. In the regular season, more importantly for our hockey pool needs, he finished with 23 goals and 58 points in 82 games between the Rangers and the Lightning, and that was good enough for 42nd among all forwards in scoring, ranking him in the 3rd round in a draft redo. That's a damn fine season, for sure. The Philadelphia Flyers are letting goaltender Petr Mrazek head to market, as they did not qualify him as a restricted free agent by Monday's deadline. Mrazek was brought in by the Flyers at the trade deadline, when the team was running into some serious injury troubles in their crease and Mrazek got them through a jam and helped them into the playoffs, where he saw no love, upon the return of Brian Elliott and eventually, Michal Neuvirth. Mrazek ranked 36th among all goalies in hockey pool goalies, finishing the 2018 season with 14 wins and 36 points in 39 appearances between Detroit and Philadelphia. He should be able to find some work out there on the open market, but a starting job might still be hard to come by. The San Jose Sharks also didn't qualify a pool worthy RFA on Monday's deadline, letting defenseman Dylan Demelo head to market after a pretty decent season in the tank. Demelo had 20 assists in 63 games, ranking 99th among all defensemen in scoring. The Sharks are planning to make a big splash on July 1st, if you listen to all the pundits out there, so they can't be bogged down by the fringe scoring players, who are looking for big raises... which is only my guess. On the deadline to qualify restricted free agents, in order to keep their status, the Detroit Red Wings managed to re-sign a couple of potential RFAs in Tyler Bertuzzi and Martin Frk on Monday. Bertuzzi earned himself a 2-year, $2.8 million deal after appearing in 48 games, scoring 7 goals and 24 points, scoring at half a point-per-game, which would be good for hockey pool status, if he had played the full season. He will be one to watch for a late round pick in next year's draft, especially given the low point totals from 2018, he could slip under the radar. It was believed that Frk wasn't going to be qualified as an RFA, but it looks like that may have been a strong tactic by the Red Wings to get the deal done, signing a 1-year, $1.05 million deal. Something like that deal would suggest that the team has hopes that he'll be in the lineup on opening night, in a regular spot. He played in 65 games for the Wings last season, scoring 11 goals and 25 points, but there might be the expectation of more, especially if he wants a new deal next year. With the free agency period quickly approaching, the NHL has opened the window, where teams can start talking to other unrestricted free agents and that may have really motivated the Washington Capitals to follow through with their intentions to re-sign John Carlson. The team announced on Sunday evening that the NHL's top scoring blueliner had re-signed with the club, inking a 8-year, $64 million deal, making him one of the highest-paid at his position. Carlson finished the regular season with 15 goals and 68 points in all 82 games for the Capitals and then was very instrumental in the Capitals' Stanley Cup championship run, scoring 5 goals and 20 points in 24 games. The market for top end defensemen is very lucrative for the players, if you can get there and now Carlson ranks among the top three in defensemen cap hits, with $8 million per season. Washington understood the need to have Carlson signed up and just how much it was going to cost them, so that was the main reason why they moved Brooks Orpik and Philipp Grubauer to the Avalanche before the draft, it was just that important. With all of these moves done and a projected roster of 23 players, the Capitals are sitting in pretty good shape, heading towards the free agent frenzy, still with $8.6 million in space, just enough that they can tinker with what they have and really push towards repeating as Stanley Cup champions. The only big move out of the first day of the entry draft saw the Colorado Avalanche make a move to acquire a new goalie and a buyout candidate (to help make it up to the salary cap floor). That goalie, 26-year old German Philipp Grubauer, was locked in by the Avalanche on Saturday afternoon, signing a 3-year, $10 million deal and he'll now be in the conversation for a top job at the start of camp. Grubauer had a very good 2018 season, where he played a key role for the Washington Capitals down the stretch, aiding the team when Braden Holtby was going through a bit of a lull, finishing with 15 wins and 37 points in 35 appearances. Grubauer was also given the start in the first two games of the opening round of the playoffs against Columbus, dropping them both, but lighting the fire for Holtby, which eventually turned into a Stanley Cup championship. The Avalanche will now have a top goalie tandem, which includes the oft-injured Semyon Varlamov, so having a very good number two goalie will be paramount for this team to remain relevant in the regular season and possibly into the playoffs. Even with the eventual buyout of Brooks Orpik on the books, adding Grubauer's $3.333 million cap hit, I still have their projected cap hit below the floor, but not by much. Nail Yakupov did enough to warrant a new deal and we'll probably see another restricted free agent or two re-sign, so there's no reason to worry. The Avalanche definitely have some flexibility this summer, maybe they can sway a key unrestricted free agent their way as well.